Jacqueline Raposo had this same epiphany after facing an uphill battle with life, including social media, work, health, and relationships. How to deal with it all, especially when the world tempts us with the shiny promise that if we add just one more thing to our lives, one more product, one more app, one more practice, all will be well? But instead of adding, Jacqueline subtracted. 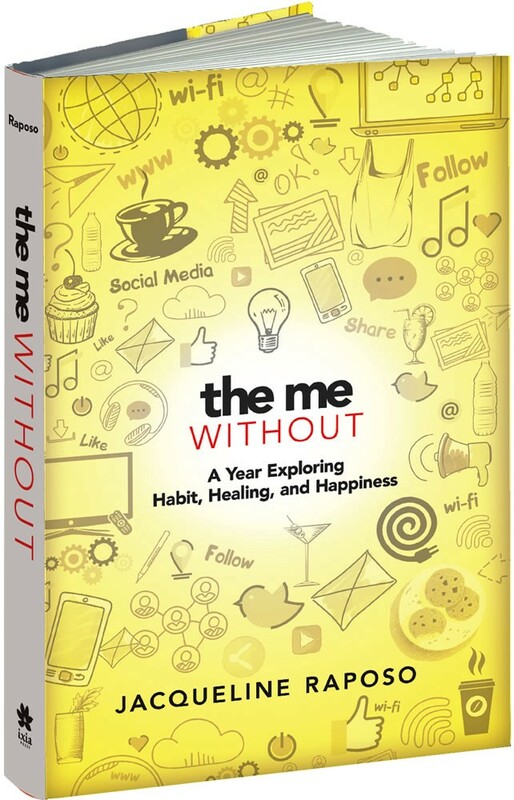 Jaqueline has shared her experience and insights in a new title from Dover, The Me, Without: A Year Exploring Habit, Healing, and Happiness. She started with unplugging; foregoing social media for what turned into 40 days in the not-wilderness. Not easy for any of us, less so for a freelancer. And the project went on from there. Dover Publications: Your first challenge of going social-media free inspired you to create more challenges. When did you realize you wanted to extend the exercise to more parts of your life? 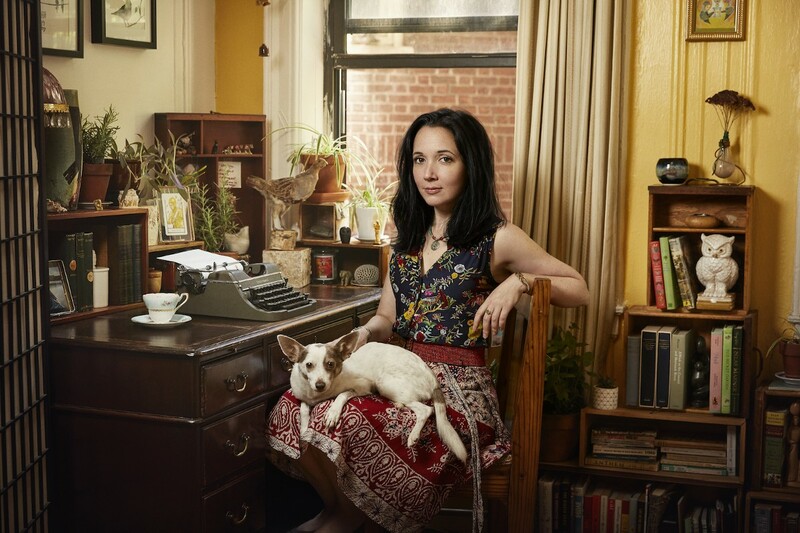 Jaqueline Raposos: I’d previously thought of social media as a means of connection with the outside world since I spend so much time alone sick. But the cleanse had me realizing how disconnected I had been from my thoughts and feelings. Yes, I was now even more isolated. But in the solitude, I was growing more present with whatever I was writing, reading, seeing, thinking, or feeling. The little time I spent with people felt more significant, too. That was the first time I expressed that sentiment so specifically. DP: How did you decide the length of each Challenge and did you change any as you went? JR: The first Challenge of 40 days — social media — was entirely calendar driven; starting one day after announcing it on Love Bites through to the end of the following month gave me a clean 40 days. Moving forward as an official project, I tried to assess how long a cleanse would need for full impact. I wanted it to be hard. No Shopping required ninety days because the point was to assess likes, wants, and needs by what I ran out of and what I continually wanted to buy, down to chapstick, books, and clothing. I realized early on during No Waste that one month wouldn’t be hard enough, so I added a second; the last two weeks ending up bringing about the most poignant revelations. When one of the Challenges just wasn’t right, I stopped a week before the finish line. Jaqueline at work. Photo @ Hanna Agar. DP: After looking at your portrait on the book’s jacket and on Wordsfoodart.com, I’m shocked at the contrast between the healthy young woman in the photos and physical pain you describe. Do you have any advice for others who are facing a similar situation of being ill but not looking ill, and therefore not believed or taken seriously? But I can’t take care of myself alone and rely on loved ones and strangers to help me, so looking healthy means I have to over-articulate that reality. The work evolves and doesn’t stop, and I have lost friendships with those who cannot empathize, but it’s necessary and well worth it for those who can. So that’s my first bit of advice for those in a similar situation: Remember that we didn’t understand the concept of chronic illness until we felt it. So understand your thoughts and feelings as best you can, then communicate them clearly and compassionately. I’ve found being specific often helps when asking for assistance. It’s hurtful when communication doesn’t work! But keep trying. DP: Your discovery that reducing waste is hard to do was eye-opening — and I’d never considered that it is sometimes more expensive! Do you have some suggestions to offer about reducing food waste? JR: If you find yourself regularly tossing food in the trash, my #1 tip is to buy less food! Many of us eat the things we love over and over, but overbuy because we don’t take certain things into consideration: wanting to be adventurous, we try new ingredients or brands but quickly fall back to our habits and those new things are eventually trashed. We impulse buy, we go to the store with no clue of how many meals we’ll cook that week, we ambitiously dive into a new recipe requiring additional spices, then never use those spices again. We think we love fancy honey/olive oil/salt/vinegar/whatever the latest cooking show tells us and our shelves filled with options we don’t need or use! One thing that helped me best understand this was during the No Shopping Challenge when I ran out of only four spices and one condiment (Sir Kensington’s Mayonnaise) in 90 days. As a food writer, my mind was blown. Look at every food product before you buy it and ask yourself if a) you actually like it b) if you’ll use it all in the next few days or weeks and c) if you need it right now at home (we often bulk buy when something’s on sale but don’t need additional item — that’s not saving money and creates more waste!). Find your favorites, stick with them, and savor them. Being realistically mindful and buying less food is the #1 best way to reduce food waste at home. DP: If your readers take away only one thing from your book, what do you hope that one thing is? JR: Being human is hard. We all have the thing that keeps us up at night, that makes us doubt ourselves or others, that has us acting out of fear or hurt. And so, we create walls and fogs for protection we’re often not even aware of. I started My Year, Without knowing or owning a few of my values and priorities. Nothing I then attempted was particularly radical, but each Challenge progressively pushed me forward. I researched and read and listened to others and dealt with my emotions and expanded my mind. Had I not written a book about it, the changes might have appeared subtle to the outside eye. But by Year’s end, my inner life had transformed entirely. I choose according to my values and despite my faults. I know what I want to bring to the world in small, humble ways.